Numis Network is pioneering the sale of graded silver and gold numismatic coins through the network marketing industry. 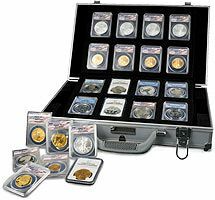 Graded numismatic collectible silver and gold coins have never been sold through this method before! The timing for you to position yourself in front of this trend could not be better. Our vision is to become the largest retailer in the world of these certified and graded precious metal coins by creating this new industry category.